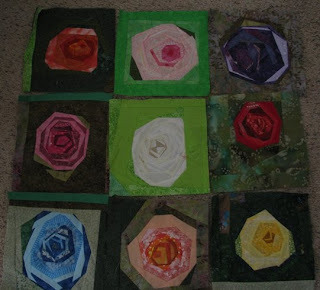 Here are my 9 roses. I love the variation of color in each of your roses. I've added them to the list. Wow, your roses really LOOK like roses! Very cool. Very real looking blocks. Fun to see and learn from your variations. Thanks for sharing.